25 years ago my husband and I had been married for 6 years without children. We had heard that the Lubavitcher Rebbe would gave out dollars and blessings to over 5000 people every Sunday. And one Sunday, a friend took us to the Rebbe to receive a blessing to finally have a child. I asked the Rebbe for a blessing for children, and the Rebbe told me to re-learn the laws of Family Purity. After we left the Rebbe’s room, my husband and I immediately went across the street to a bookstore and purchased a Hebrew/English book on the Family Purity laws. We started learning it together that very night. 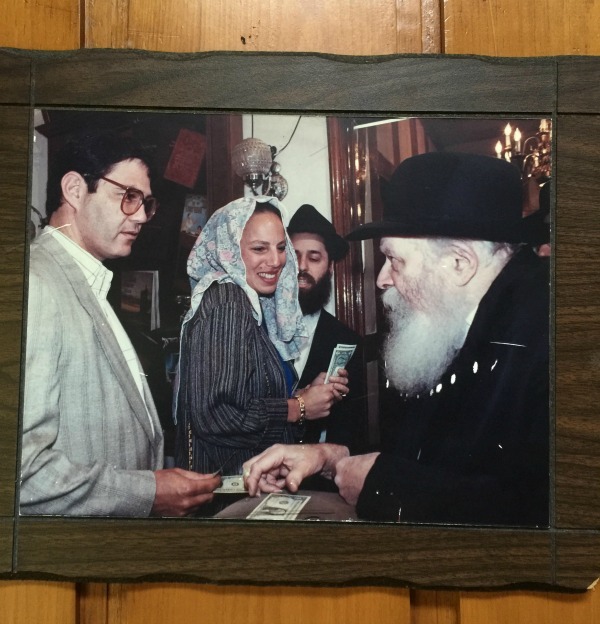 In addition to that advice, the Rebbe also handed us 3 dollars (in the photo below). 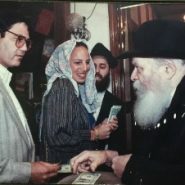 I didn’t know much about the Rebbe’s custom of giving out dollars with blessings so at the moment, I didn’t know that it was highly unusual to receive 3 dollars. I completely trusted and believed the blessing would work. B”H, I found out I was pregnant the following month, and I found out it was triplets when I was about two months pregnant. Unfortunately, the Rebbe had a stroke six weeks after we received the blessing. The Rebbe’s secretary knew that we had been blessed with triplets, and I’m sure the Rebbe knew, but we never saw him again. I was 33 when I gave birth and was so thrilled to finally be a mother that all the hours and hard work felt like a true blessing. And B”H, we were blessed with another wonderful girl when I turned 40. Today my triplets are 24 years old and my younger daughter is 17. All of my children are very connected to the Rebbe. 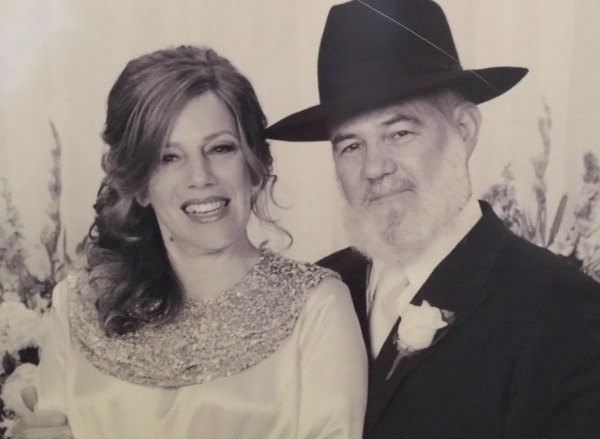 My husband and I (in a recent photograph below) have also adopted all of the Chabad minhagim as our way of giving back to the source of our blessing, to whom we feel immense gratitude for, with G-d’s help, turning us from a couple into a family. Love how they turn their feelings of gratitude into action and commitment.